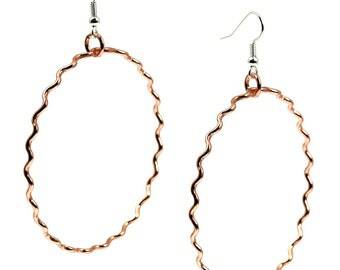 Handmade from premium copper precious metal, the John S. Brana Corrugated Copper Hoop Earrings are corrugated to give them a fantastic crimped texture. The subtle folds allow the metal to reflect the light and produce a dazzling shine. For movement, the earrings dangle from sterling silver French ear wires, and they are 3 inches long from the top of the wire to the bottom of the hoop. 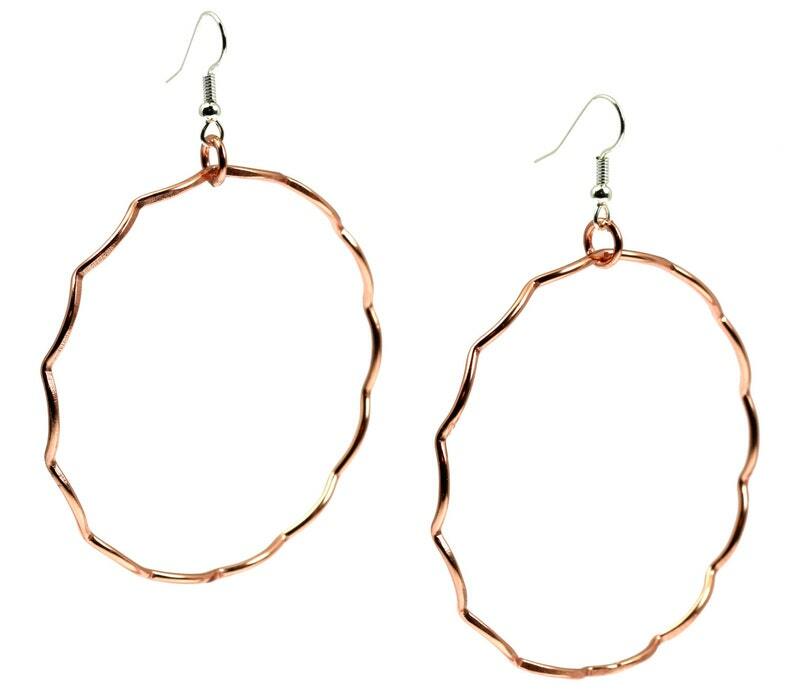 The 2 1/4-inch diameter of the hoops makes them ideal for daytime and evening wear. 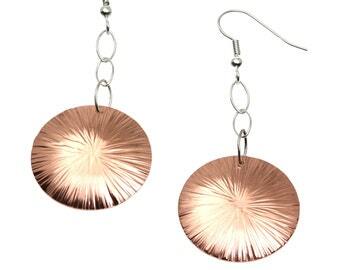 Chased Copper Dangle Disc Earrings - Rose Gold-Tone Dangle Earrings - Makes a Great 7th Wedding Anniversary Gift! 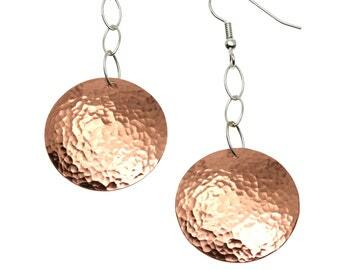 Corrugated Fold Formed Copper Leaf Earrings - Makes a Great 7th Wedding Anniversary Gift!